A. gerrardii is a variable species. 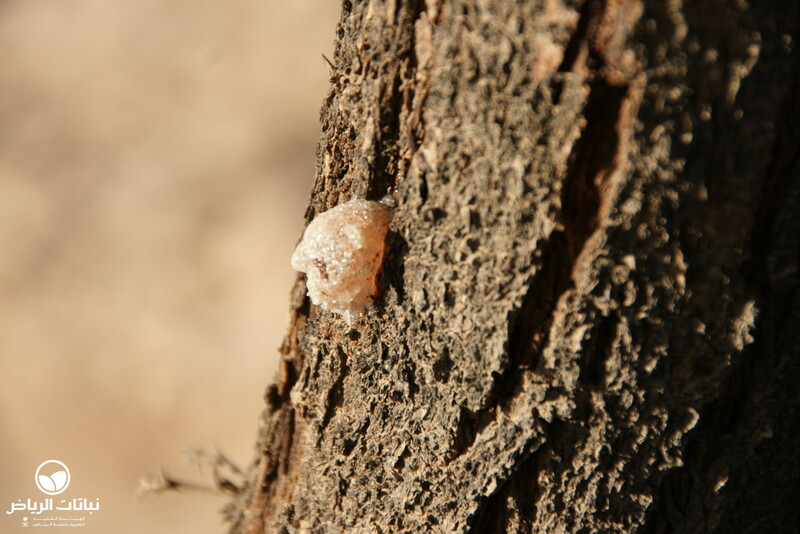 The variety iraquensis (sant al waraqi) has a rough, spiny trunk and finely fissured, dark-coloured bark, which does not peel off in strips like that of the whitish bark of A. gerrardii var. najdensis, (sant al najdi). 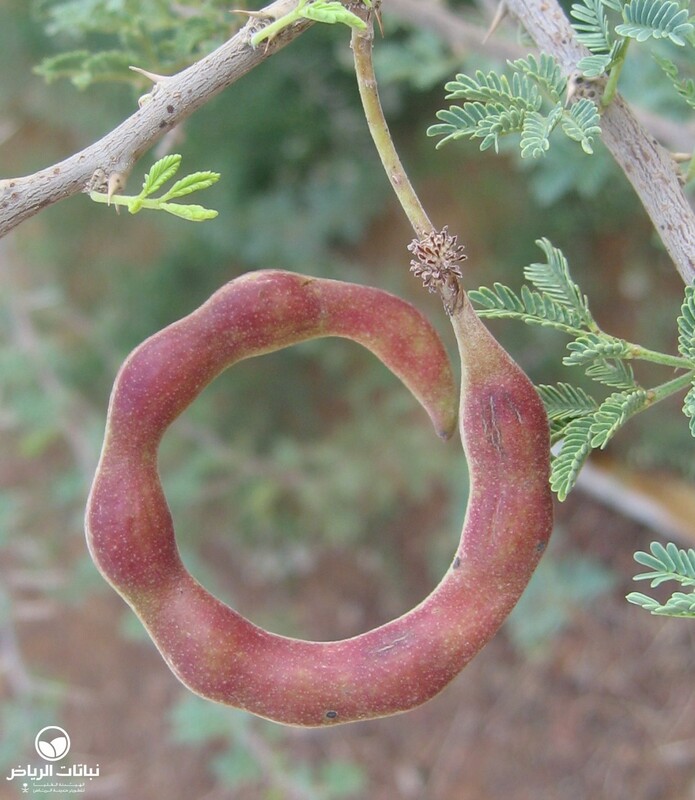 The seeds of iraquensis are held in sickle-shaped, flat pods which are beige-coloured, long and straight, and covered by fine, grey hairs. 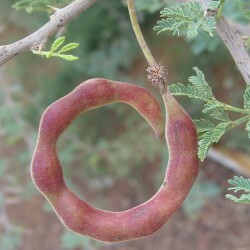 Those of najdensis are strongly curled, almost circular pods, and a much darker brown. 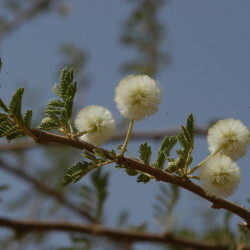 A. gerrardii has a distribution in the northern part of the Arriyadh region and Saudi Arabia and is usually found in depressions and watercourses. 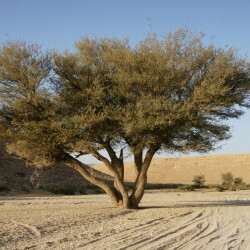 A small tree with ascending branches and a flattened crown. 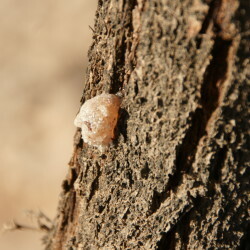 It has a long, straight and single stem with a reddish bark. Young, strong branches are densely covered with grey velvety hairs. Numerous thorns are arranged in pairs and white in colour, while mature trunks are almost thorn-free. Singular, round, creamy-white, sweet-scented flowers appear from October to February. During a very cold winter, the tree is deciduous. Propagated by seed, A. gerrardii is fast-growing, hardy to about –10 °C, and drought-resistant. 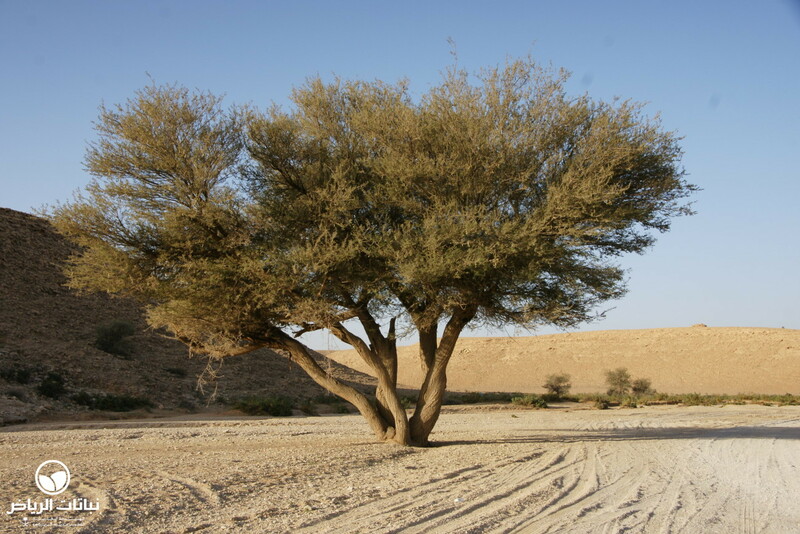 It will become a spreading shade tree, when watered frequently. 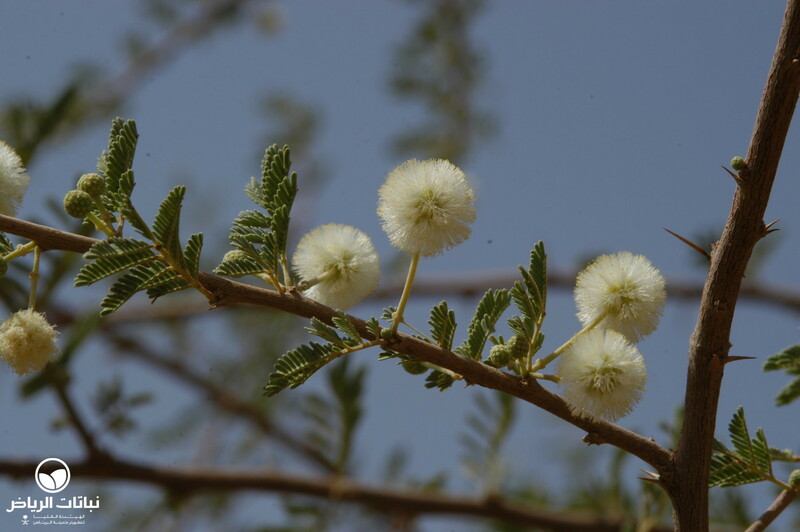 Its winter flowers make the tree an attractive species for arid landscape design in both intensive and extensive landscape situations. It is suitable for most gardens with a native look, and valuable for revegetation schemes, and roadside planting. Little maintenance is required once trained well into a straight leader.